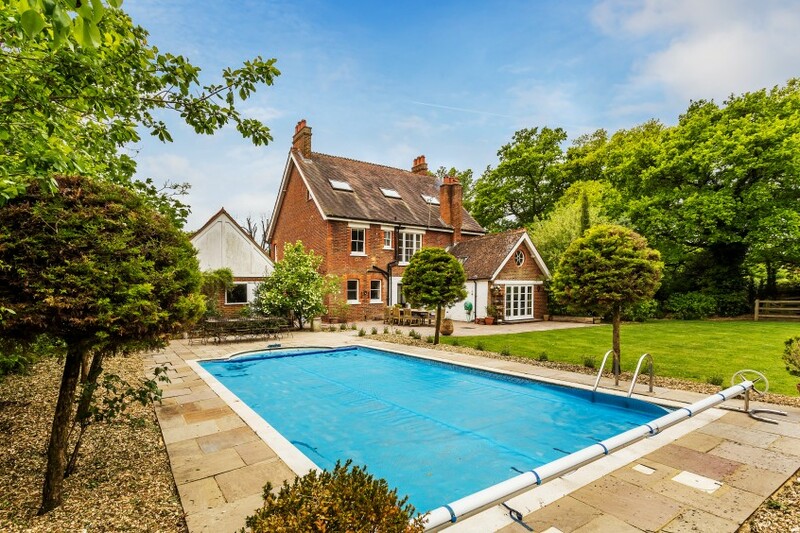 Barnfield is one of Surrey’s most attractive small estates. 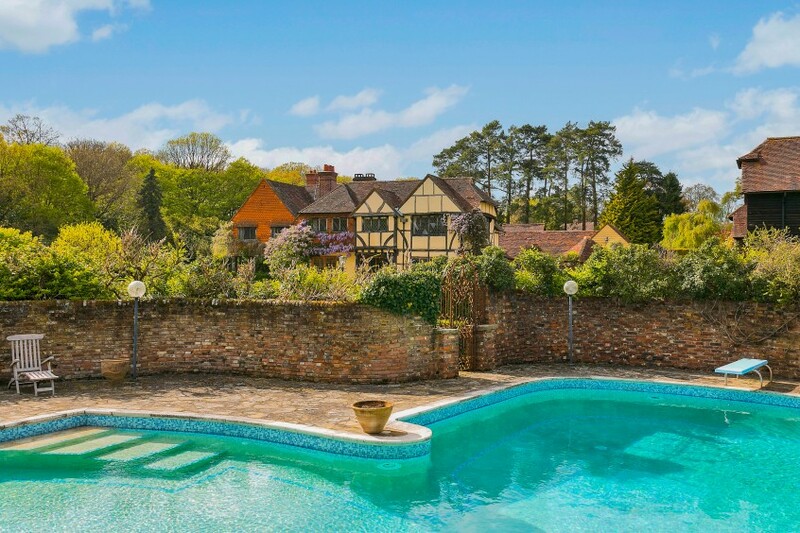 To one side of the house lies a croquet lawn with a summer house and an apple orchard and on the other, approached by Yorkstone pathways, is a large terrace and the beautiful swimming pool area and changing room. There is also an all-weather tennis court, vegetable garden and a modern ten-stable barn. Alfold Cross is a beautiful, six-bedroom Victorian house arranged over three floors. Not only is there a swimming pool and sun terrace, but a set of stables have been converted into an office, games room and log store. This home is perfect for family living and set within 1.35 acres of landscaped grounds. Willowhayne is a five-bedroom house situated in the highly sought-after village of Wonersh. The property has stunning landscaped gardens expertly created by an R.H.S award-winning garden designer. 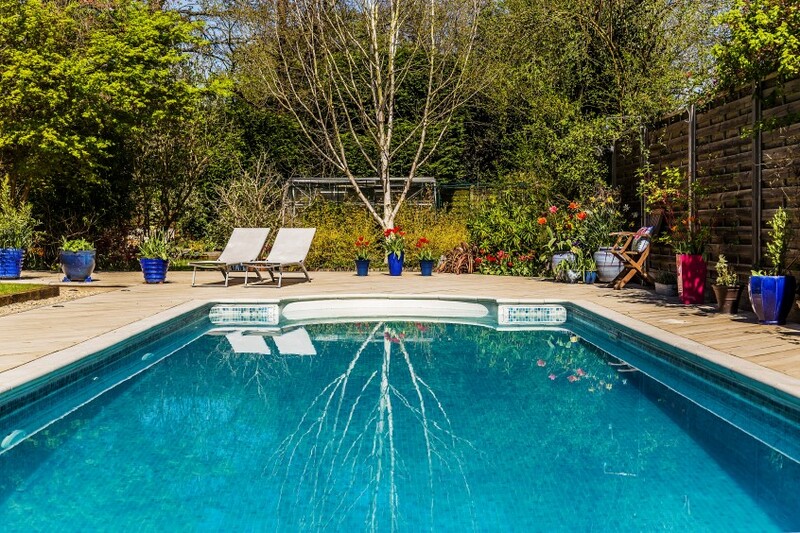 A heated pool (a handy feature for the chillier months), hot tub and sauna are also set within the picturesque grounds. High Barn is a striking property, offering 8,000 sq. ft. of living space including 10 bedrooms and eight bathrooms. A leisure complex sits adjacent to the main house and is set around a sheltered south-facing terrace, swimming pool and Jacuzzi. It includes an apartment with two bedroom suites, a gymnasium and even a suite of offices with a boardroom. High Barn boasts wonderful gardens, paddocks and woodland. If you’re a property developer or an estate agent looking to maximize coverage for your homes in the press and on social media, don’t hesitate to get in touch with our team to discuss how we can help, on 01483 561119 or email info@housegroup.co.uk.